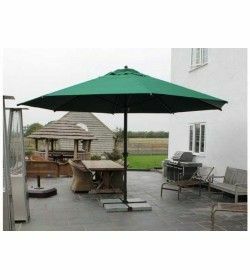 Garden Furniture Spain offer a range of extra large and easy opening commercial parasols suitable for restaurants and public places, giving big shade for outside areas. 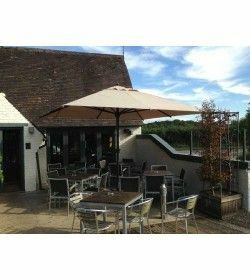 Our parasols for bars and restaurants are made from the highest quality materials. 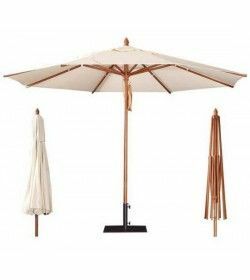 We also have a wide choice of garden parasols in Spain, cantilever parasols in Spain, wooden parasols and parasol bases, parasol heaters and parasol lights all delivered across spain. If you are looking for the ultimate in sunshade visit our shade sails in Spain page. Commercial Parasols There are 4 products. Who would think that this superb wood grain finish is moulded from fiberglass and painted in a natural Teak Colour.